Blogging! A word which gives a smile on my face and i love to write articles on different blogs as a guest blogger. Our site is basically designed on how to make money, social media, SEO etc. This post is based on:- How to avoid being Google slapped? What are the ways to being saved from Google? What is Google Slap? How to avoid it? 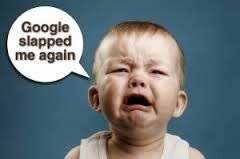 Best ways to avoid getting slapped by Google? These are all the points which are revolving in the minds of every user. An blogger always do hard efforts to getting approved by Google Adsense. But only few of them getting it for their site. An blogger must understand the value of an article. An blogger build his/her site by giving their 100% hard work. Duplicacy are not allowed in the field of blogging. Generally people copy the paragraph from others blog or site, which results the poor performance and also remember the Google will watch you. Whenever you write an post, make sure the words you choose it may be yours, you can take a hint but never copied them. 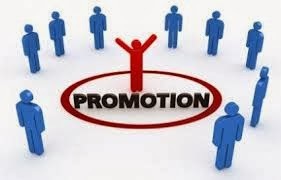 Actually Promotion, advertising are consider to be an advantage. Bloggers do promote their blog and content pages on many different social networking sites. According to me there is a two faces of social networking sites- one is bad and other one is good. Bloggers promote their sites but they usually do promote their site on unwanted sites just for the sake of getting backlink. So do not try to get an backlink from unwanted site which not having any resembles from your site or blog. You have to make sure that the keywords must be relevant to your sites post unless people will never click on it. Remember the targeted keywords will force the client to click on the ads. If the keywords are not resemble to your post than it will reduce your click through rate (CTR). You have to be consistent and persistent with your work. Keep doing hard work. You have to keep update your blog daily, your readers will always look forward to you and they will always search for new thing and news on your blog. Don't believe on others, just give your best. Last but not the least, if the content of your blog speaks more about your item or service and using paid advertising, it will let Google to kick you off. You will be penalized and being slapped with a lower ranking if you try to advertise only by keeping page rank in mind.